In every child care educator’s day, there are a significant number of tasks to be completed: engaging in meaningful interactions with the children in our care, completing a myriad of routine tasks, observing the learning of children, and programming the curriculum for the interests and skills observed. “Curriculum: in the early childhood setting curriculum means ‘all the interactions, experiences, activities, routines and events, planned and unplanned, that occur in an environment designed to foster children’s learning and development’. [adapted from Te Whariki].” Early Years Learning Framework. In many educational settings, the term curriculum and educational program are used interchangeably. All decisions made in the development and ongoing analysis of the educational program may be influenced by the knowledge that educators gain from observing, analysing and assessing the learning, development and interests of the children in their care. How each centre and educator presents their observations, planning cycle and curriculum can vary as much as the children attending our centres and will be influenced by the educators’ philosophies. How educators have planned for the learning of children has evolved from boxes with learning areas with activities changed daily, to mind maps following interests, to child-focused discussion groups to plan the learning environment and foster engagement. With the emergence of digital documentation methods, gathering the data required for planning an educational program has never been easier (link to obs post). With your centre’s own private Kinderloop, all observations are available to educators to observe and build into the educational program; encompassing the learning environment, intentional teaching moments and projects planned to extend upon interests and skills observed. Representing the educational program is easy with Kinderloop. There are an abundance of ways to display the program being provided at your centre. Below are just a few ideas on how to display, document and review your curriculum. 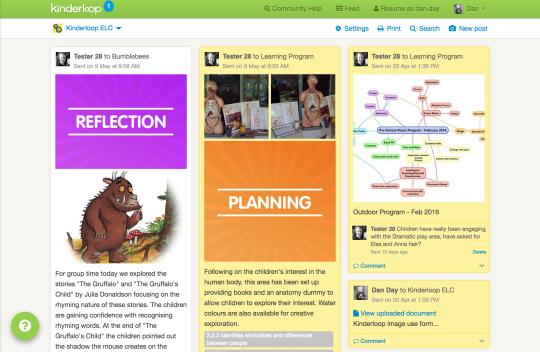 The wonderful thing about Kinderloop is how easy it is to customise using groups and tags. It is possible to create a group for each room’s curriculum. Here educators can post photos of learning environments and add analysis and assessment either through editing the description on the photo or by adding a comment to the photo. Educators are able to add data to the comments if they see a child engaging with an educational area or add links made to observation posts made to individual children’s Kinderloops. 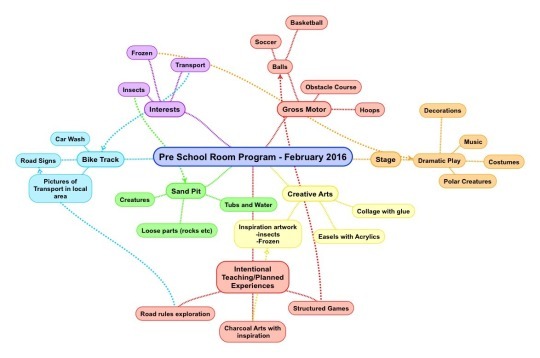 Expressing the curriculum as a mind map is another popular option for documenting and assessing the educational program. To keep things simple, there are now apps for your iPad or Tablet which mean that brain storming can be completed on the run on your device! 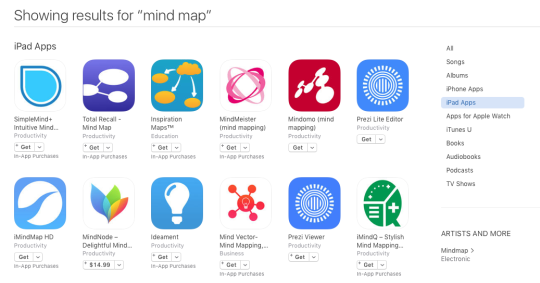 The mind map can then be saved to your photos and quickly posted to your Kinderloop as either a public or private post. Evaluation can then happen in the comments section. It is also possible to upload documents to your private Kinderloop meaning that supporting documents can be added to your planning documentation. 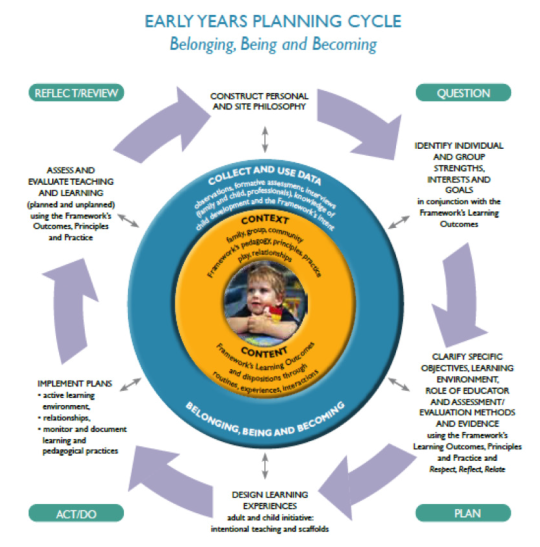 It is the task of educators to ensure that all children are represented within the curriculum and planning cycle. This is done through observation, analysis and assessment of learning and engagement within the educational environment. How you document your learning program is completely up to you! The tools now available to educators mean that these tasks are getting simpler and the possibilities are only limited by your imagination!